I am not getting email notifications for my form. Please check if perhaps your email messages were filtered and was relocated to the spam or junk folder. This is possible, because you have not set a specific Sender E-mail account in your form's notification email. I have checked my spam folders. Still nothing. dj@roseshomes.com (this is the one that is not working). 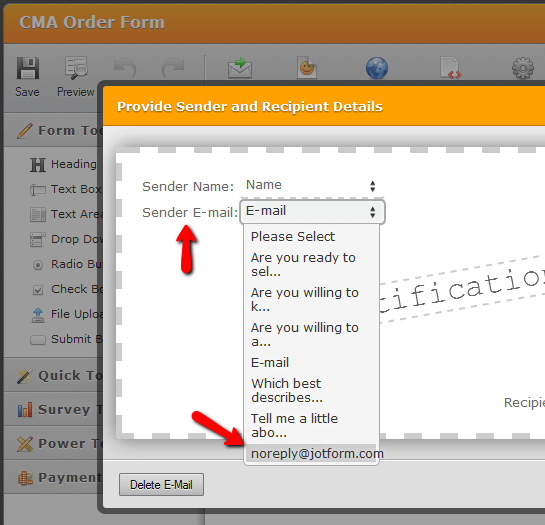 Can you please clarify if you are refering to this form http://www.jotform.us/form/30886557430157 ? I test submitted the form and it was sent properly. I also have the email log that prove the email were sent. Yes. It is that form. It seems to be working now. Thanks. log that prove the email were sent.